The Casitas Dam was completed in 1958 to create the Lake Casitas Reservoir. 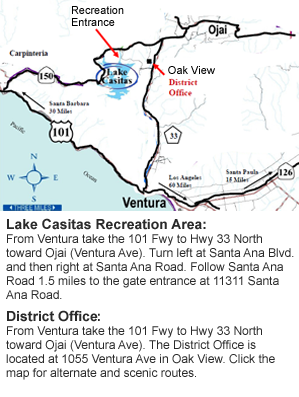 Lake Casitas has a 238,000 acre-foot capacity when full. The lake first reached a full capacity and spilled in 1978. The last time water spilled over the Casitas Dam was in 1998.